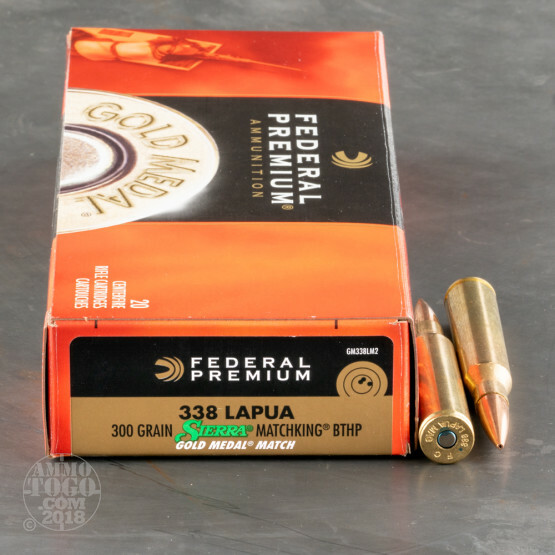 Until the clever guys and gals at MIT or NASA finally cook up space-aged laser weaponry for all of us to toy around with, this 338 Lapua cartridge from Federal’s Gold Medal line of ammunition has about the flattest trajectory that you’re going to get. That’s because it features Sierra’s own 300 grain MatchKing projectile, the Missourian manufacturer’s preeminent target projectile. The MatchKing owes its match accuracy to its exceedingly thin and concentric jacket, which is drawn to a concentricity standard of 0.0003 in maximum variation. 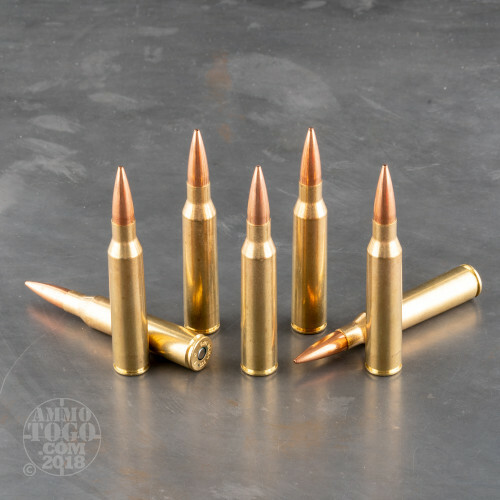 Together the MatchKing’s narrow hollow point meplat and boat tail raise its ballistic coefficient to an impressive .768. 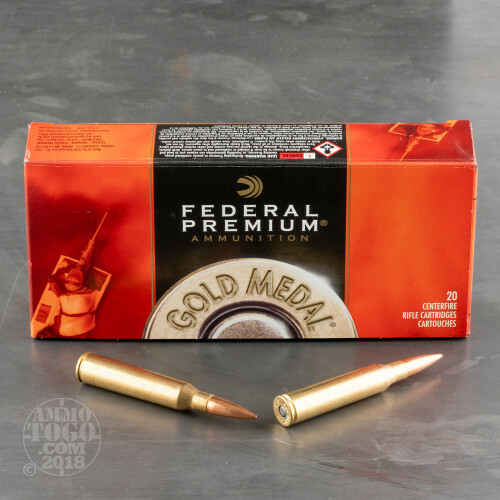 The bullet’s resulting improved downrange velocity and ability to all but ignore the influence of cross and vertical winds will make you the one to beat at the next competition you enter. Federal saw to all of this round’s other fine components themselves. 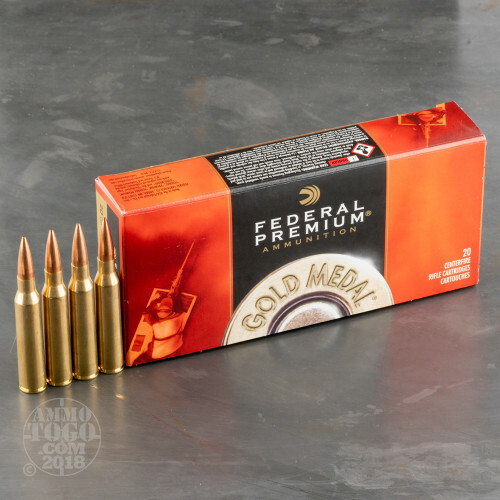 Their Gold Medal primer delivers benchrest quality ignition, their propellant is specially formulated to consistently create the ideal chamber pressure for the 338 Lapua caliber, and their precision formed brass casing seats its bullet as flat and evenly as can be. Hold on to that casing once you’ve emptied it out -- it deserves to be reloaded!